The point is that instead of finishing up what I am doing, I very likely stop – and react to what has just come in my inbox. Many of us do this and we are training out clients to expect this kind of instant response. But it can really mess with my usually top notch multi-tasking abilities. Suddenly I am playing catch up on the things I stopped doing before the “emergency” and playing the “what did I come into this room for” game. On the other hand, I have seen people take this issue to the extreme the other way – by including auto-responders to emails with a specific time spelled out that they are checking email. Given the training that my clients have received, I think this would result in some of them going elsewhere. You know all the meaningful encouragement, startling epiphanies, and blinding flashes of genius you get when you’re hanging around with your brightest and most creative friends? It’s a Bar Camp – if you know what that it. FaffCon is different from other conferences you’ve been to, because it uses Open Space Technology and is based on the belief that the sum of the expertise of the people in the audience is greater than the sum of expertise of the people on stage. I decided I would go – so I paid my $149 and I’ll see you there. But you will need to prove you are an actual working talent with some talent. Check out the site for the details. It’s the first time for something like this, so who knows what will happen, but the concept is grand. September 11-12, 2010 in Portland, Oregon USA. *Faffy is the FaffCon mascot – a delightful blue dolphin. Be confident, but doubt yourself enough to evaluate your performance. Sell yourself, but don’t make it look like you’re selling yourself. Be able to multi task and stay completely focused. Be in the moment and plan for the future. Good stuff Max! Thanks for the reminder – time for some calls. More and more – as the ways of doing business evolve away from in-person auditions to online – we don’t get the chance to ever meet our “competition.” I miss that. I miss the days when I would see my local competition at auditions. (I posted some of this on that thread on Ed’s group.) It was a different time. There were no key words that made you show up on the top of a list of disassociated contenders. You had the chops to be with a good agent who sent you out. Networking and personal contacts helped to a degree. I remember seeing producers at the theater or at the store – and then getting a call from my agent for a gig because I happened to see that person when they were in that decision making mode. Now you need to add so many other factors into the decision making process. Talent is just the smallest part it seems these days. Word of mouth is working well for me – for the bread and butter jobs – the work that pays my mortgage. Also, it doesn’t hurt to have had a website since 1996. But the really big gigs – the ones that would pay off the house in one fell swoop are still being cast the old-fashioned way for the most part. Big agents. Big casting calls. And the person who gets the gig had the good fortune to be the voice in their head that day. They were the right fit. I did check for jobs and auditions each day – had a loaner BlackBerry with global service – and was able to postpone most of the projects that popped up until I returned. 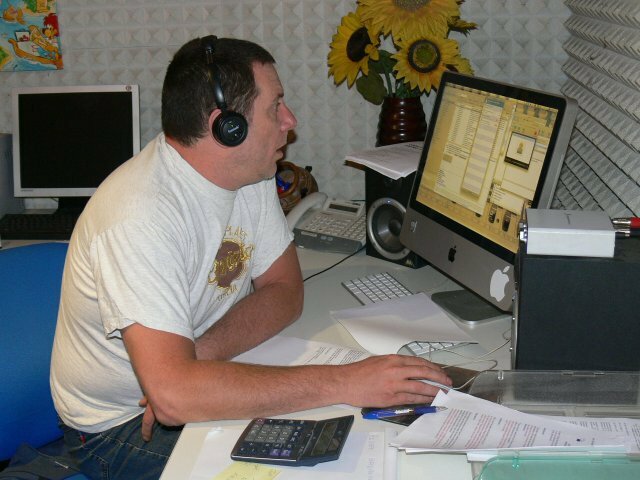 However, one regular client needed something right away and as good luck would have it I was in Reggio Emilia that day and was able to record the project in MediaPiu Studios. Even managed to get an audition in as well. After the session, we chatted about the voiceover business in general and I was able to recommend a couple of American male mid-range voices for a project. 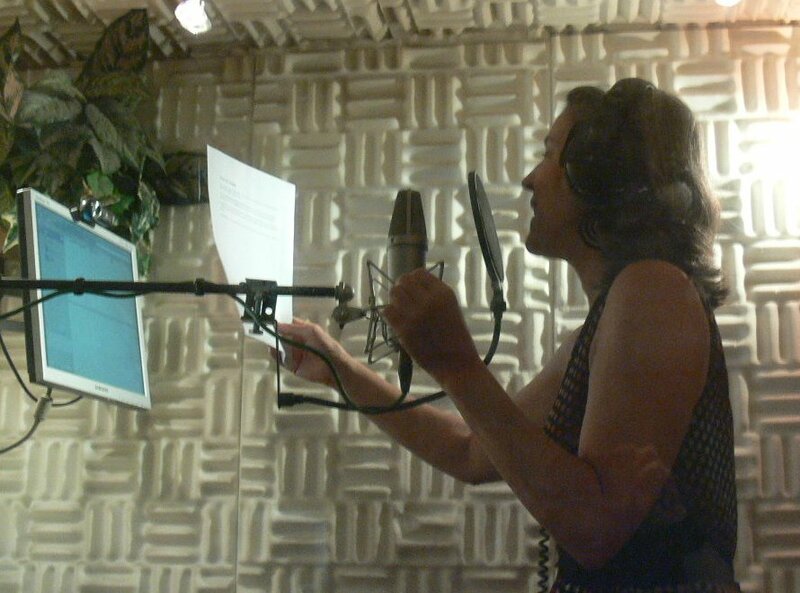 While I was there, the studio recorded well over 100 video spots for an Italian Internet “Yellow Pages” type site. 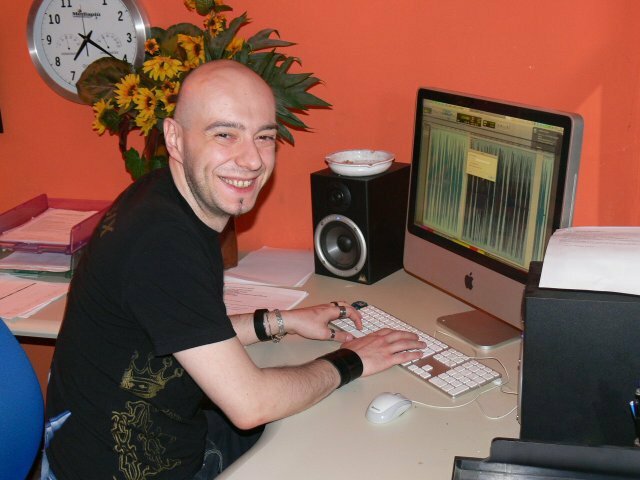 Studio owner Paolo Tonetto does the voicework for those spots and Jerry Kay edits. I also chatted on Skype with one of the studio’s regular British Voiceoverists and listened in on another Skype call working with a German talent on an upcoming script.